Transpose Virtually any Sound File! Pitch Switch makes it easy to transpose your music files. Have you ever wished you could transpose an MP3 file or music CD? Well now you can! 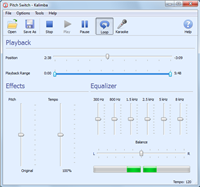 Pitch Switch allows you to change the key of virtually any song without changing the tempo. It’s fast and easy to use. Just open up your favorite song and use the “Pitch” slider to raise or lower the key on the fly! Use the "Pitch" slider to shift the pitch in real-time, right before your ears! Open virtually any sound file; transpose MP3, WAV, CD audio and more! Save your modified songs to MP3, M4A or WMA! Get started today! 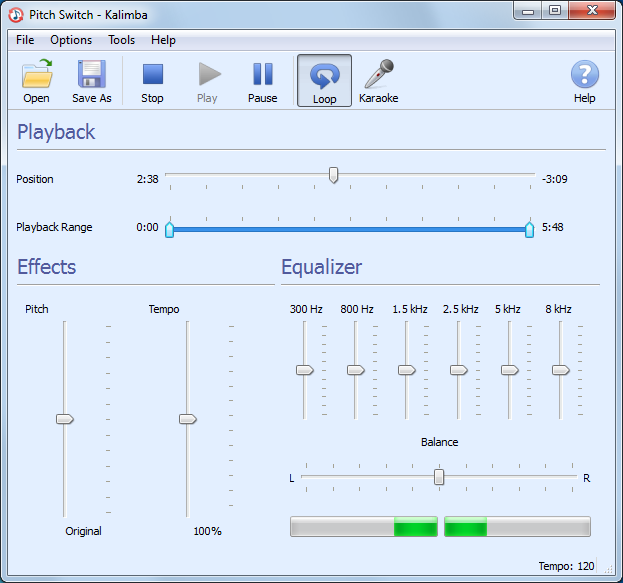 Download a free trial of Pitch Switch and see how easy it is to change the key of your favorite songs. What Are Pitch Switch Customers Saying? This is the greatest music tool ever!!!! Thank you! I just want to say how happy I am to have Pitch Switch! It's easy and so good! I will certainly be ordering this amazing product. Bought it! It works perfect for what I do! I can change the pitch, slow down, loop, perfect for learning song on my guitar!